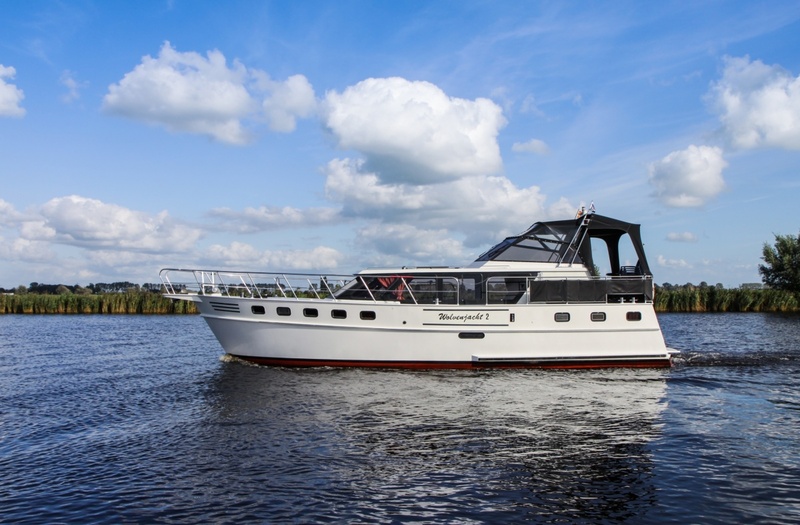 In our fleet, the Wolvenjacht 2 is the regarded the most beautiful girl in school. A ship that stands out because of its beautiful lines, it makes an impression on the water. 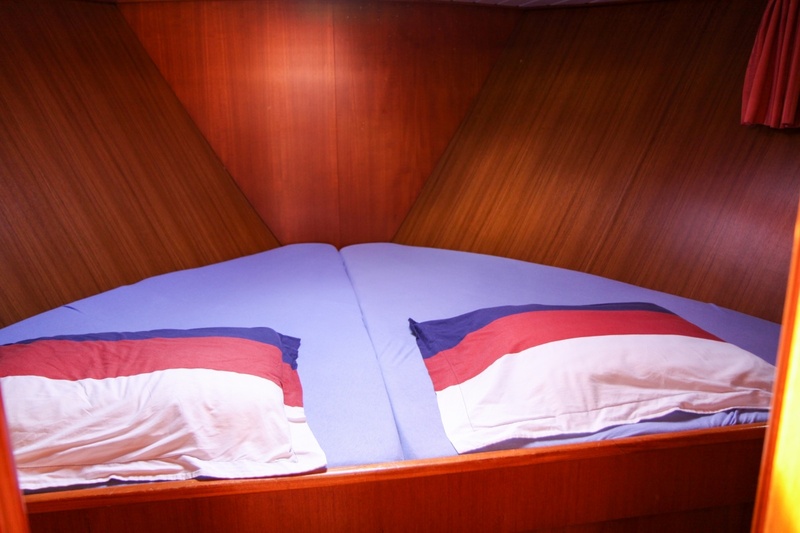 It is a very comfortable and luxurious ship. 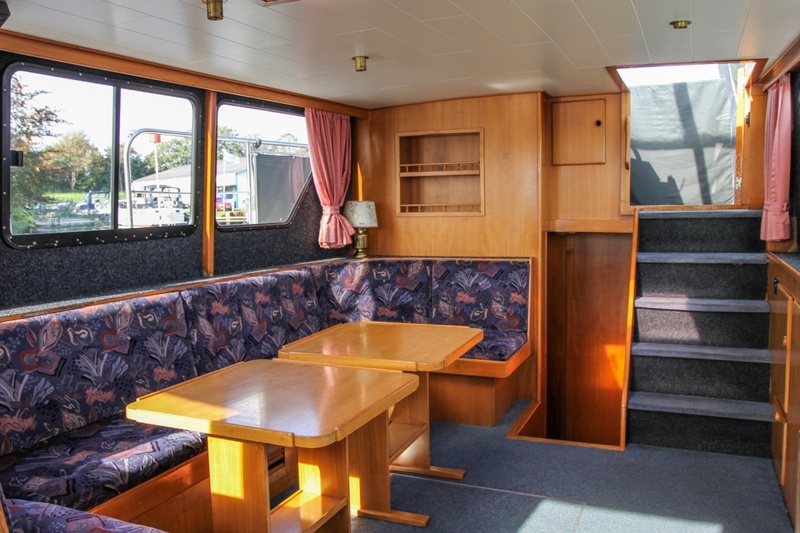 On board you will find everything you need to enjoy a carefree holiday. 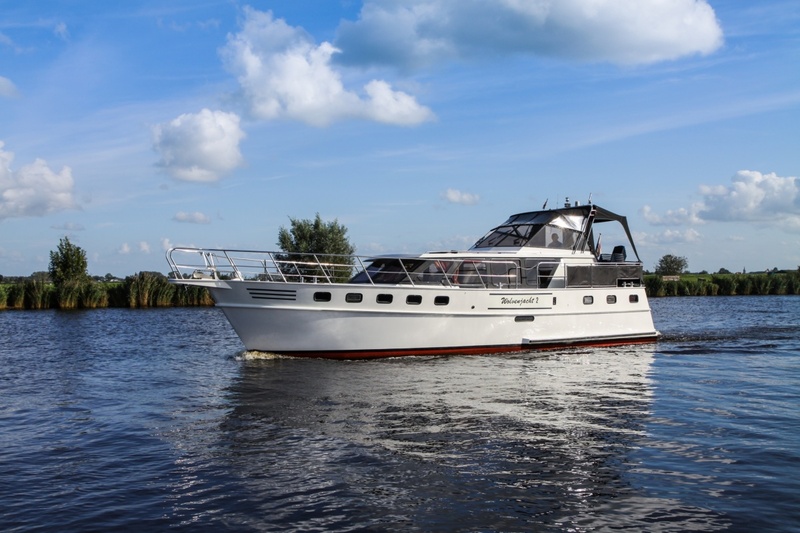 Extremely suitable to explore the IJsselmeer or the randmeren in peace. 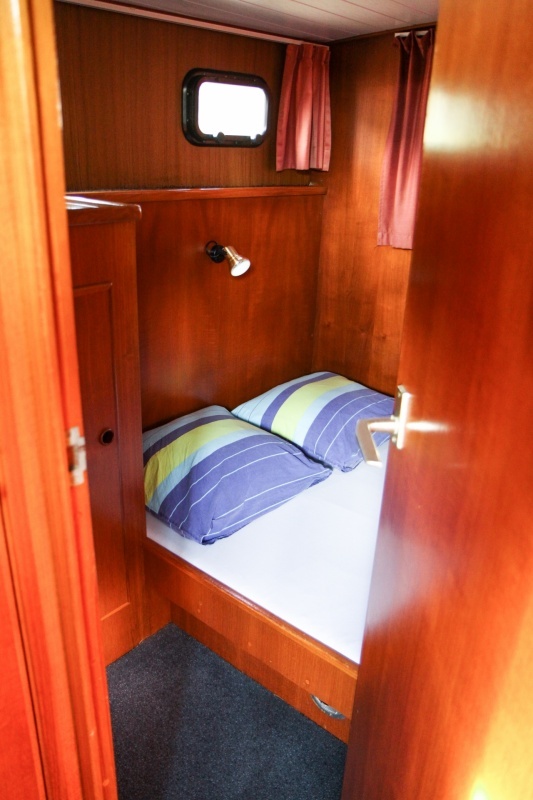 This ship, suitable for six to eight people, has three bedrooms each with a double bed. 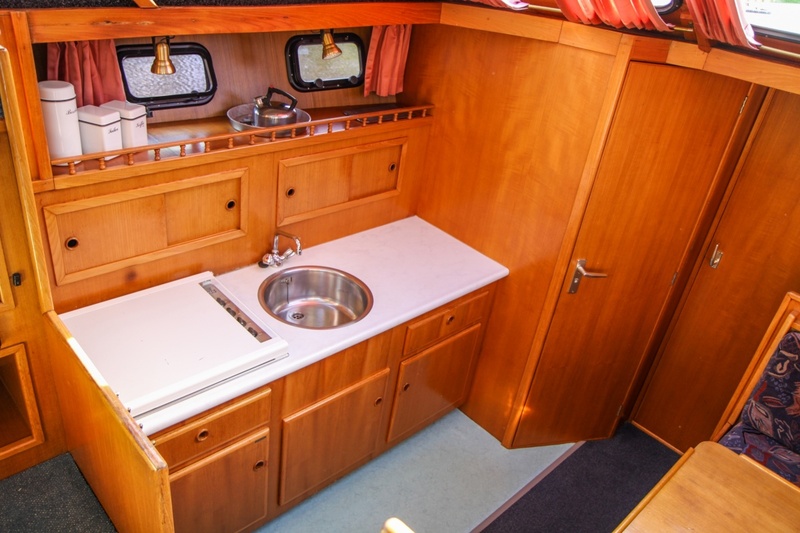 It is also possible to convert the dinette - which is located opposite the kitchen - into a double bed. 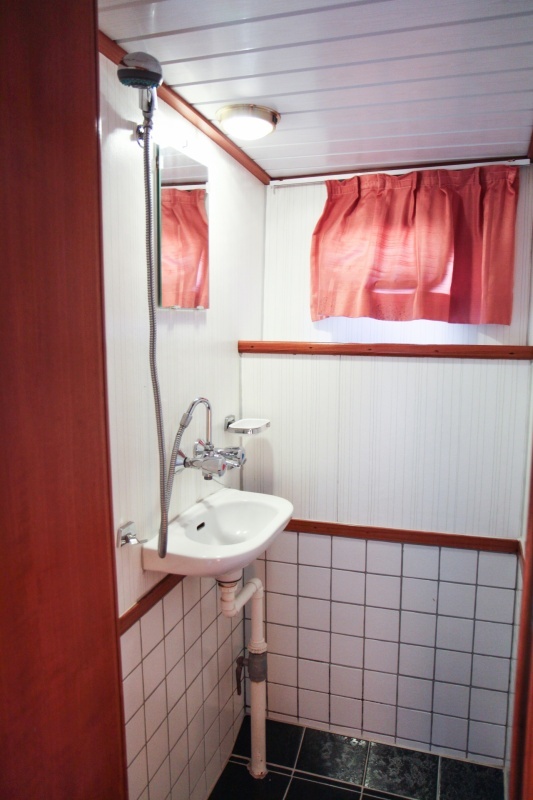 The ship has two toilets and a separate shower. 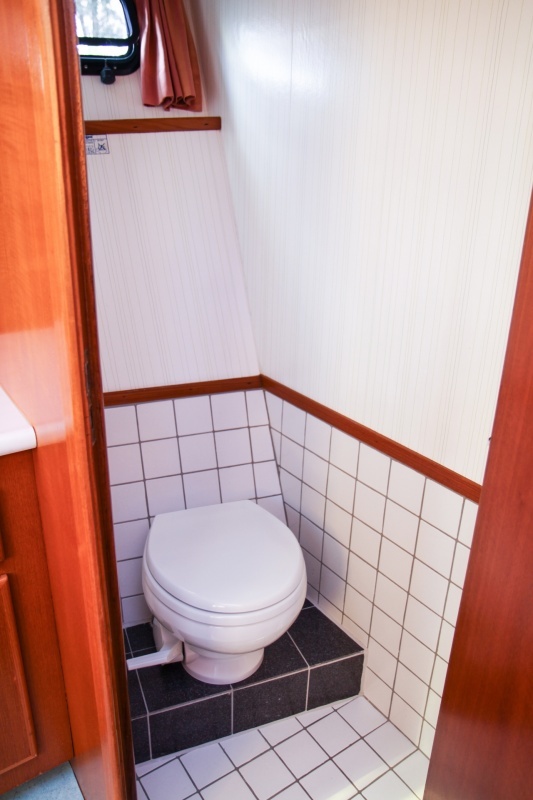 The particularly spacious salon offers space for all passengers. 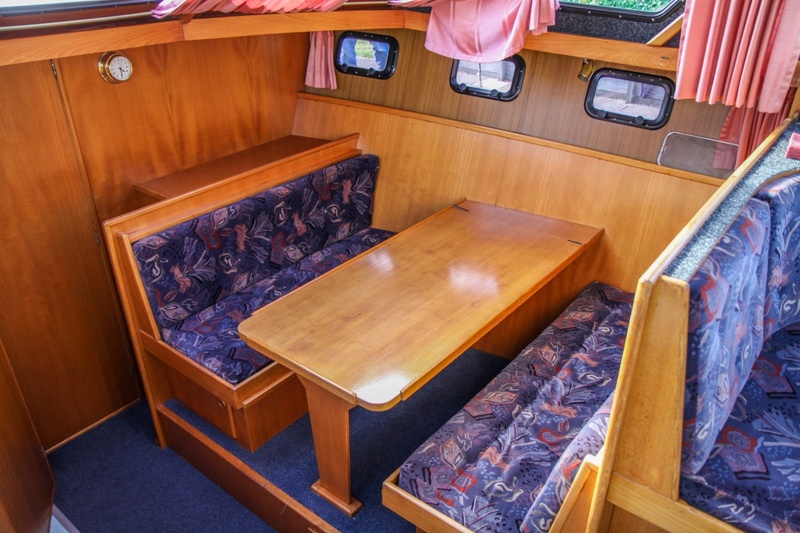 On the deck you will find comfortable chairs and a table to enjoy some time together. 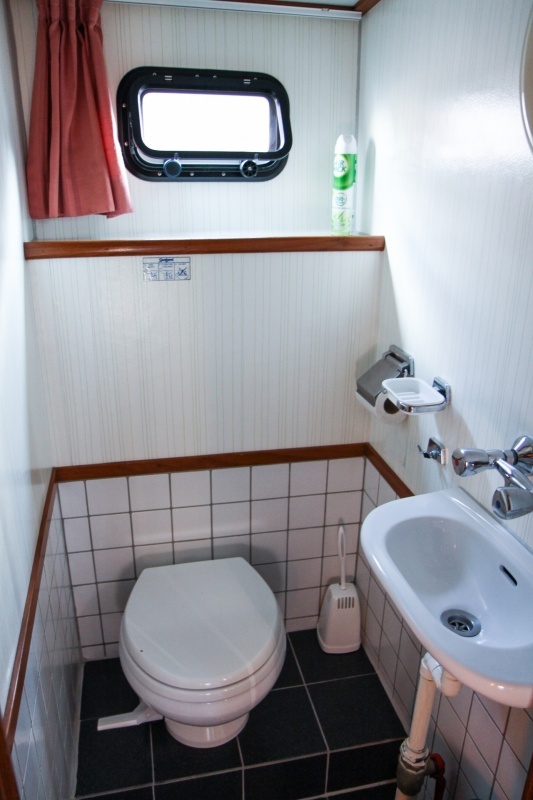 You should take into account that the windshield is not collapsible, as a result of which the vertical clearance is limited to 3.60 meters. 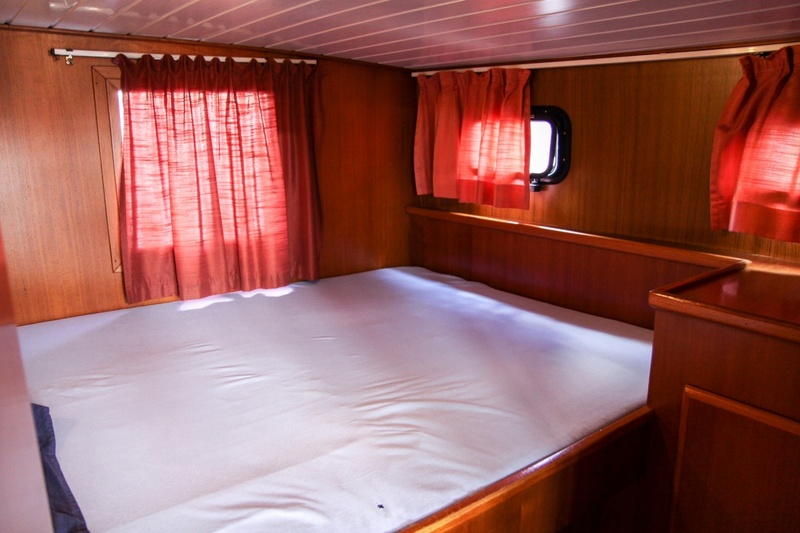 The ship has a land supply connection to charge the batteries and a small inverter (150 Watt), should there be no shore power available. 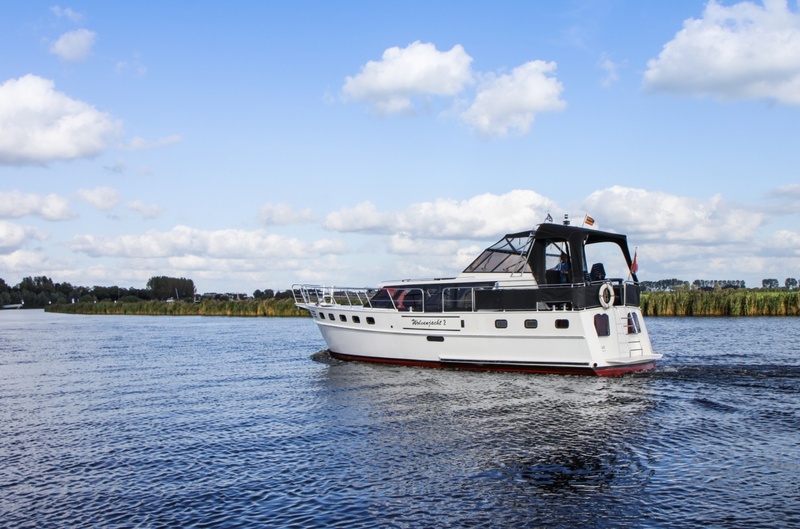 The Wolvenjacht 2 is controlled from the deck and has a strong hydraulic thruster for harbor maneuvers. 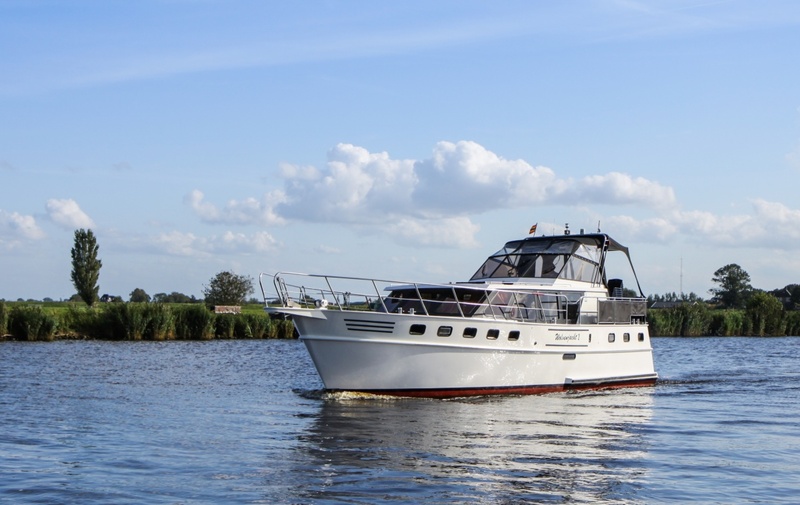 This ship is approved for the IJsselmeer and thus offers many possibilities in terms of routes. 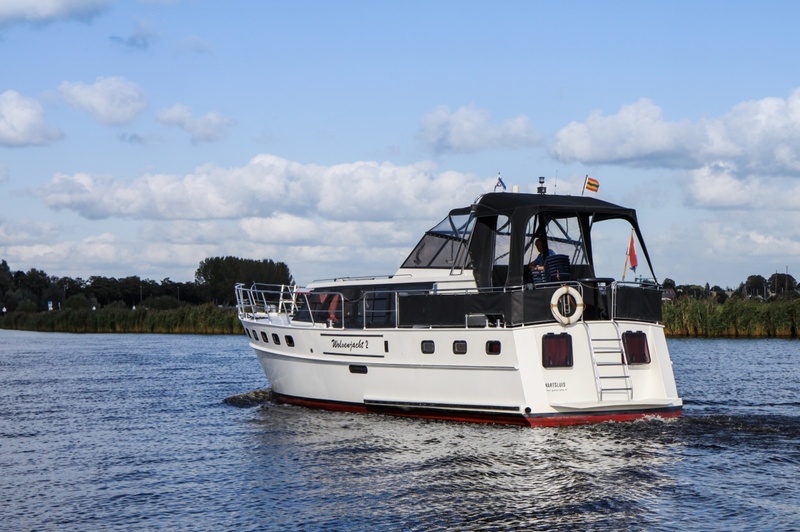 The Wolvenjacht 2 can be rented from Saturday to Friday, where you can board the ship from 6 pm on the Friday and leave the harbour on Saturday from 9 am. The next Friday you have to return the ship before 1 pm.